What is the RYA Inland Waterway Helmsman’s Course? 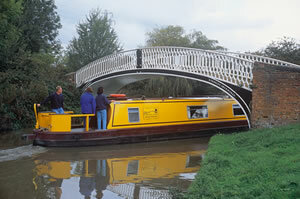 Handling a canal boat or narrowboat is extremely easy and a skill that is quickly acquired. However learning how to do it all properly is a skill set that should be learnt by all aspiring boaters and so the RYA (Royal Yachting Association) helmsman training course is a very sensible route to take and one always appreciated by insurance companies. Courses usually only run for one or two days with a maximium of three pupils so 'hands on' time is optimum. The instructor is fully trained and licenced by the RYA so you can be sure that once you have completed the course, there will be nothing that you cannot do in terms of handling your own boat. For full details go to Helmsman Training. Click here to download the Helmsman Training Leaflet.